Everyone knows the easiest way for a first-time buyer to buy a home, is to already own a home. 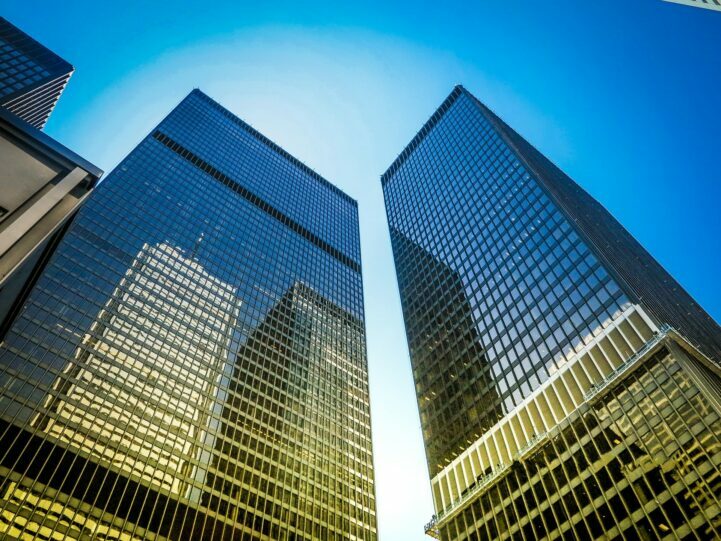 The Toronto Real Estate Board (TREB) published results from its annual buyer survey. The survey asks recent and intending buyers about their experience, and gives the industry insights into their behavior. Most of it was not all that surprising, except for the sources of down payment. 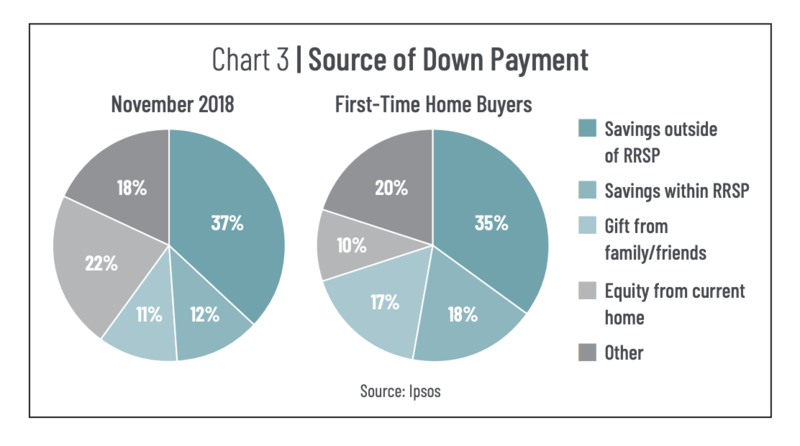 Turns out, 1 in 10 dollars used for down payments from first-time buyers will come from equity in their current home. Uh… what? Source: TREB Annual Buyer Survey, Ipsos. First-Time Buyers Have Home Equity? Let’s ignore the mystery meat, gloss over generous friends, and jump into “equity from current home.” One in ten dollars used for a first-time buyer’s down payments is from equity in their current home? That’s weird because first-time buyers don’t have their own home to draw equity from. This implies they’ll be using equity from family or friends, or it’s not their first home. Borrowing a down payment from friends and family isn’t against the rules, it’s just not very smart. Heck, some mortgage brokers even suggest it, while casually mentioning interest only sources of loans. The first problem is home equity is usually borrowed at a higher interest rate than mortgages. That can add up, especially if you’re on an interest only payment plan. More important, there’s less equity in a first-time buyer’s house than previously thought. It doesn’t exactly reflect the prudential lending environment narrative told. The second most likely scenario is lying about being a first-time buyer. There’s a few reasons people do this, but most likely is to get first-time homeowner credit. Buying and flipping in a child or friend’s name, and claiming it’s their primary home is common. If they aren’t caught, they save a few bucks. Only problem is a whole lot of people actually do get caught. The Canada Revenue Agency (CRA) has begun cracking down on real estate tax evasion. From April 2015 to September 2016, the agency recovered over $210 million in Ontario alone. Those funds came from people lying about sources, flipping, capital gains, HST, and improper declaration of rebates… like the first-time buyer credit. It’s common to lie about real estate to save some taxes, but it’s expensive and not very smart. When the incentive to buy real estate is high, people take risks that aren’t necessarily logical. Sometimes those risks pay off, and sometimes they don’t. Either way, a very small number of people are making risky moves in this market. The question risk experts need to ask is how much longer can people continue to take these risks. Same survey said that 52% of Toronto buyers were buying an additional home. I’ve come to realize people think they understand real estate investing when many only know the boom of the last 10 years and how Uncle Tony must be a genius. Where in the world does it make sense to saddle yourself with longterm debt that is leveraged against the same asset class? Why will someone buy a house with an $700k 30yr mortgage on a 5 year term but suggesting that they put $5k into a personal stock portfolio is ‘too hard’? I live in the country now and people look at me like I’m an alient when i say i have a portfolio. We’ve made housing easy and the debt even easier. Being a debt slave is easy. Think about it. People will gamble on housing but stocks, just basic analysis and picking, with a small amount seems too complex. I don’t use leverage or get too complex, I’m not too bright. Stocks are easy, being able to understand debt and macro implications is a hell of a lot harder. Check out zolo solds. Toronto proper is coming down despite bumps here and there. We’ll be in a recession, officially, in a few months. Get your debt right. Don’t let the elderly make bad decisions. Don’t lend Uncle Tony money. Tock. BD4L. Blue, I hear ya. Buy low, sell high, repeat. It’s not rocket science. I recognized the absurdity in real estate in Feb 2017 and told my wife if we didn’t sell by May 1, ’17 we’d probably miss our chance. At the time friends and family thought we were nuts – “no sign of slowing down”, etc. They don’t think we’re nuts anymore. We rented a brand new detached home, bigger and better than our old house, at 30% below what it would have cost to buy it at the time (because the landlord is counting on the appreciation to make up for lost rent, eek!) Then I put the proceeds into mostly US stocks. The house next to my old one is very similar in size and style, was just completely renovated and sold last month for less than what I sold mine for in 2017. Meanwhile my portfolio has grown by more than 20%. Congrats that is pretty good stock market gains in that period, double the S&P and the TSX is net even over that same time period! M Bury (good name btw! ), the most common complaint I hear from all my friends in Burlington and Hamilton is that even though their houses skyrocketed to amazing levels, they can’t take advantage. Their issue is that if they sell their own place, they have to buy another in the city which has also skyrocketed. But the solution was right in front of them, as you have done. Just sell and go rent! It would have been the right move at the right time. Then simply wait out the market for a few years. The answer to this question seems obvious: these people are time travelers who just happen to have found a way to use the future gains of their real estate for today’s down payment. They just stuff a few suitcases of cash into a Delorean, etc, and then their down payment is covered. Won’t prices just go up when people can amortize their loans over 30 years? I mean, people love real estate and don’t seem to be afraid of debt. Believe you mean to amortize over 35, 40 years oh, that is coming..we will be an forever in debt nation, house rich! Canuck, I don’t have the time to look it up right this second, but I believe some countries (Japan comes to mind) have tried alleviating pressure with longer amortization periods, but it’d didn’t help like they had expected it to. At the peak of their real estate bubble the Japanese had 90 year mortgages in Tokyo and other bubblicious cities. The idea was to pass on the house (and the debt) to the next generation and the one after that if need be. Contact me if you need financing. Four friends at work sold detached Toronto homes, at peak for silly high sums, then bought country cottages and city condos. I’ve never seen such happy people day in and day out. Want to follow the market prices in your neighbourhood? Check out my website for free sold stats. You will see the trend. The market is definitely going down as per BD articles.